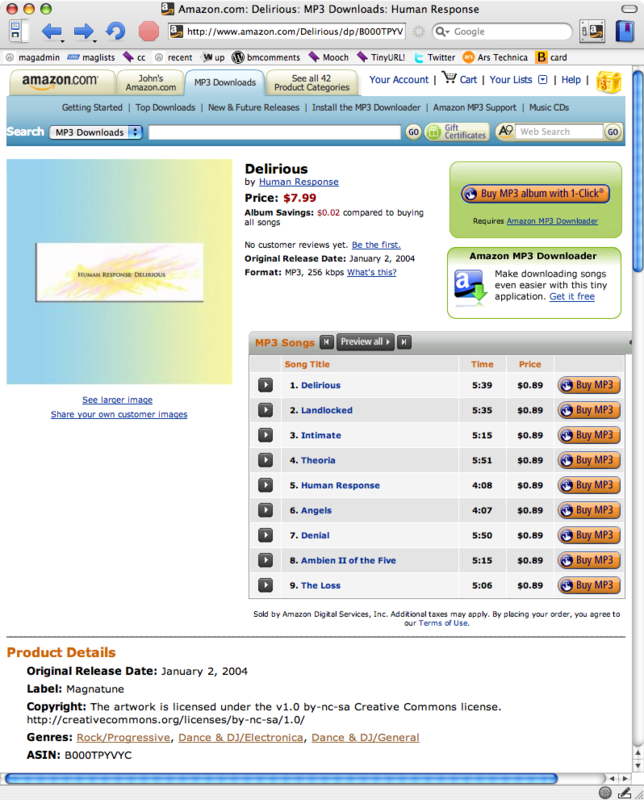 Amazon is now selling Magnatune MP3s, as well as our albums (at $7.99 an album). 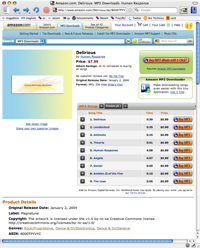 Here is an example of a Magnatune album on Amazon. I'm also pleased to see that they are offering set-by-the-label pricing, as I asked for our albums to be $8, so as to match what people typically pay on Magnatune. And so now Amazon is a way for people to buy Magnatune single mp3s, if they don't want to buy the album, and still stay DRM free. The audio quality, at 256k mp3s, is quite good. If you want the WAV files, you'll still need to visit Magnatune.com, until one of these vendors starts offering perfect quality downloads. FYI, iTunes hasn't made the "no DRM" option available to small labels yet, though I expect with this pressure from Amazon, that may happen quicker now. Article & blog in "Out-Law"
I had a really interesting interview with Matthew Magee of Out-Law magazine a few days ago. They produce a magazine and podcast. After spending this spring doing a lot of public speaking in Europe, and especially in Northern Europe, I've decided to stop the "salesman" approach to speaking about Magnatune. Instead, I talk about what it is in neutral terms, but also about our success and failures, what kinds of problems we're encountering, and what we think we're going to try to do about it. My thinking is a) no-one likes a salesman, b) people are much more likely to empathize with a real person who speaks from the heart and c) in some cultures, the "pushy American" is considered extremely distasteful, and I think "the humble schmuck" approach is appealing in most (western) cultures. I've given two presentations in the past 2 months in this style, at Xerox Parc and in Munich, and I'm hoping one of them comes up on Youtube, so I can give you an example of what I'm trying to do, and whether you think it works.